Accent your kitchen with the John Boos commercial Cucina Classico Table. This residential table has dimensions of 48 in. L x 30 in. W x 48 in. H and is 1-1/2 in. thick. 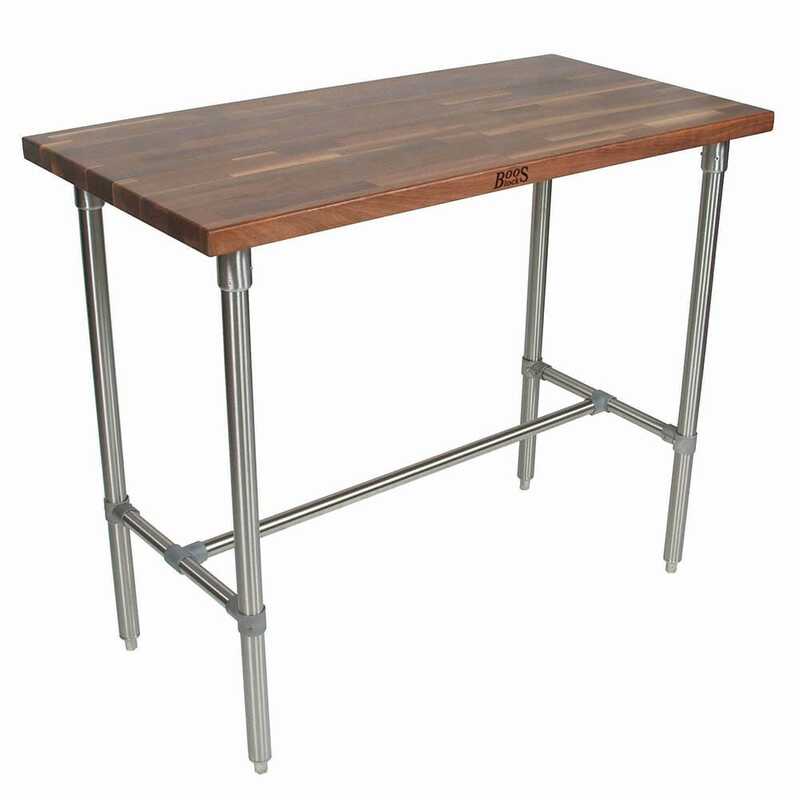 The table top has a walnut edge grain that is blended with a varnique finish. The legs are made from stainless steel and comes with a center brace for added strength. With this Cucina Classico Table, you can not only have a beautiful addition to your kitchen but also have one that is made to withstand all the uses that you will need it for!